The Sydney Home Shows are proven and trusted to significantly increase your company sales. Each year more than 500 leading companies select these shows to exhibit in, because they meet thousands of targeted home owners and builders. The Sydney Home Shows are NSW’s most successful building and home renovation Shows and are backed by Australia’s premier housing industry association, the HIA. Interested in exhibiting? Fill out an enquiry form here. Reach over 35,000 homeowners actively building and renovating. The event is tried, proven and successful having run annually since 1982. It’s the NSW market leader, drawing more visitors and exhibitors than any other Home Shows in Sydney. Receive 12 months of marketing support with the online exhibitor directory and social media platforms. 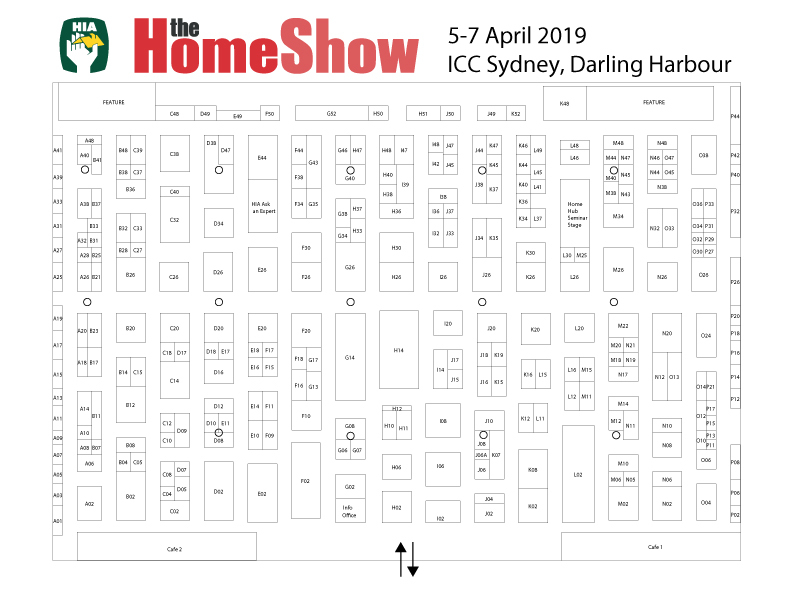 Download The Sydney HIA Home Show floorplan here. Enquire about exhibiting at the Sydney Home Shows!